Help save the world, one child at a time! One of the great joys in this life is the joy of helping a person in need. The story of Beno begs us to come close, to open our hearts and to act. That summer heat was blistering. Nevertheless, Beno Wafula kicked his infant legs and giggled for all the world to hear. Mom, who had just arrived in from the unforgiving sun, really laughed. But that is MY mom. Beno’s mom was just a child herself. She was a few years older than me. We lived under the same roof; my mom had raised her because without mom’s love and care, she had nowhere else to go. Beno’s first 3 years were a pure joy. Then, his young mother met a man and everything changed. Beno was abused, neglected and often left hungry. His innocent laughter faded into the pages of history and despair took its place. They moved away and I did not see them for many years. Little more than a year ago, I met Beno again. He really developed into a beautiful boy! But it did not take me long to take notice of his unspoken misery. Beno had started becoming a nameless statistic and I had to change that! 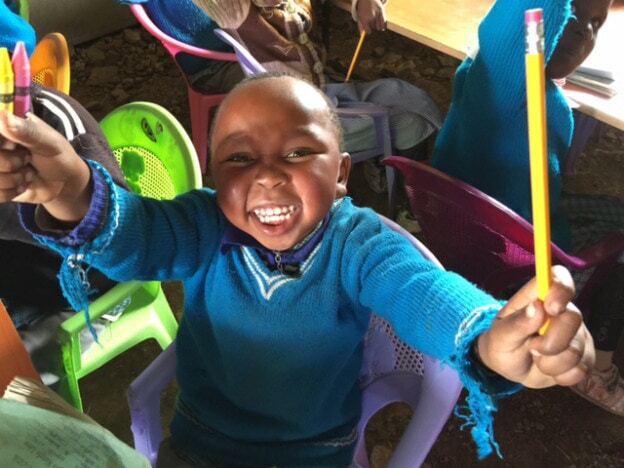 Pictured here, Beno just learned he would be going to school through the generousity of Matanya’s Hope. I thank God for Matanya’s Hope. The founder, Michelle Stark met Beno when he was 13 years old. She could quickly see that the unfolding details of his life revealed a broken-hearted child who wanted nothing more than to be loved and to go to school. Beno slowly revealed how he suffered in the hopeless cycle of despair. Even on the days he went to school, he revealed that he went hungry and did not have a pencil to call his own. Most of all, Beno slowly shared that he was beaten and told that he would never amount to anything; he was called “trash” by the people he should have been able to trust most: his parents. With your support, the cycle of misery can be broken for Beno. Today, Beno is back with my mother. 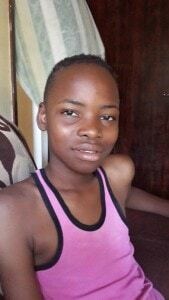 Matanya’s Hope sends him to school where he is receiving education, love, nutritious food and counseling. Beno’s self-esteem has improved dramatically. This is such an easy gift! The impact of our love is restoring hope in Beno’s world. Do you want to do more than just talk about helping a needy child? Beno’s school supplies. This is the first time he has ever had all he requires for school. Every time you give, you make it possible for something amazing to happen for a child in need. 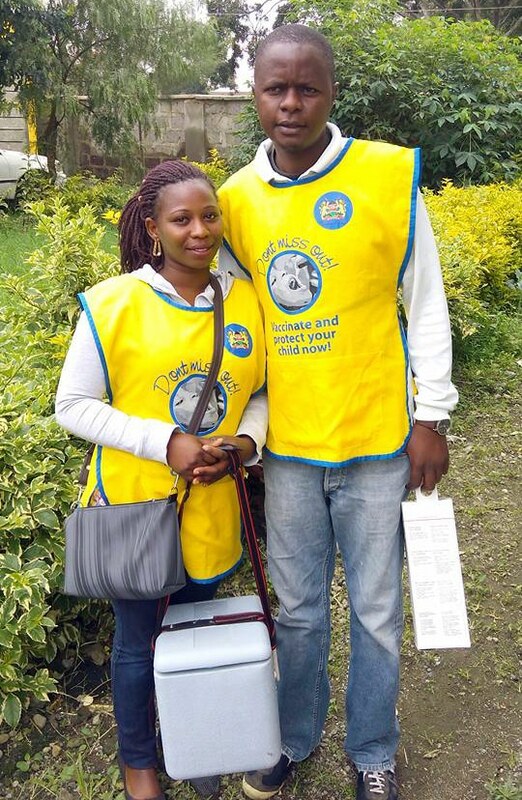 This entry was posted in Matanya's Hope, The Children, Uncategorized and tagged Abandoned, Abused, Donate, Educate, Education, Help, Hope, Matanya's Hope, Sponsorship on April 27, 2017 by Michelle Stark. I will never forget where I came from and that is why God will always bless you for taking care of His children. Very few people can do your work. First I was a house girl and then I became a dressmaker, but what I wanted more than anything was to go to school. I still remember the first day we met. You were constructing a house for another needy child. I watched you with awe; your goodness was a true lesson in love. 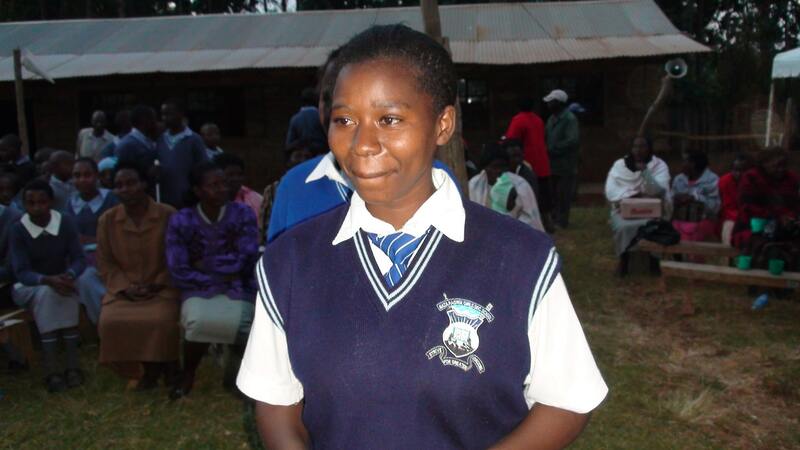 I am Lydia Muthoni and I am one child in a family of 7 siblings. If it were not for Matanya’s Hope, I would have succumbed to a life of abject poverty and despair. 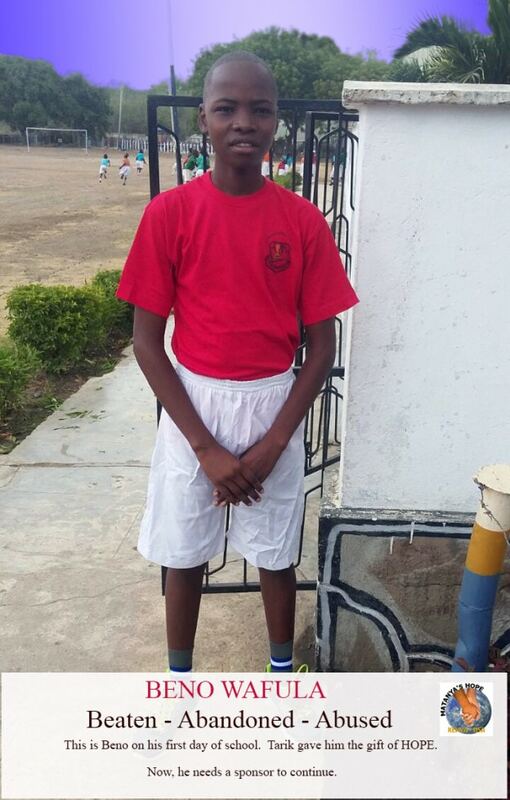 After primary school, I had no choice but to work as a house girl. My parents could not afford to send me to school. I tried to save whatever small coins I could and I held on tight to my dream to go back to school. After a few years, I felt I could not make it so I took my coins and I learned how to tailor clothes. I gained a skill, but I could not find satisfaction. My heart longed to be in the classroom. Thanks to Matanya’s Hope and my precious sponsors for hearing my story. You came and rescued me when I had no other hope. I am the only one in my family who attended high school and university. Through your love and dedication, I made it! I am a nurse. This once hopeless life can now attest that there is hope for the least of us. I can now help provide for my family and I will sponsor another child, needy as I once was. Never give up. Always hope. Always believe. 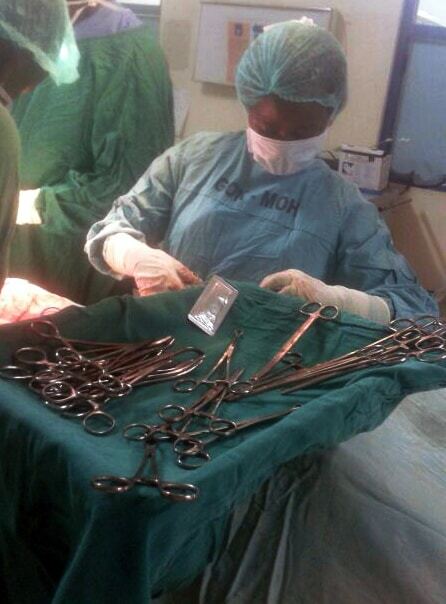 This is me, Lydia, acting as a surgical nurse in the operating room. Thank you Matanya’s Hope for believing in me. This entry was posted in Matanya's Hope, Success Stories, The Children, To Our Sponsors on April 26, 2017 by Michelle Stark. Raising Funds and Donations to Help Needy Students of Matanya’s Hope. HSE, located in Fishers Indiana, can boast it is home to the World Connection Club. 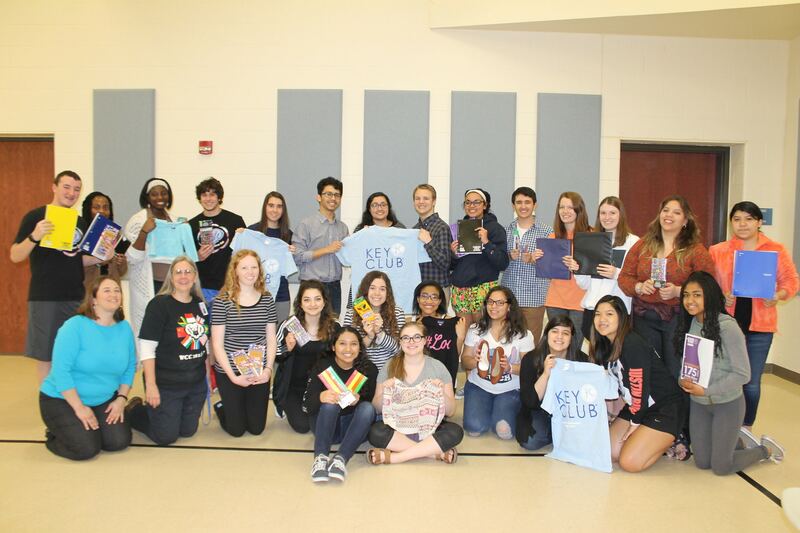 The Club’s leader and mentor teacher, Mrs. Vickie Lazaga promotes cultural sharing and global education to students from all parts of the world. Mrs. Lazaga and her assistant, Elaine Gunderson, meet with students once a month after school. Every meeting provides an opportunity for club members to learn about one student from a different culture. This student highlights the uniqueness of the people, food and customs they hold dear. Participants range from students who have lived abroad to those whose parents are from places outside of the USA. The meetings culminate socially as ceremonial costume, dance and unique food are enjoyed by all. What a wonderful way to learn about the world and promote global awareness! 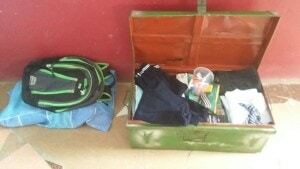 Students generously donated school supplies, clothes and shoes to Matanya’s Hope. 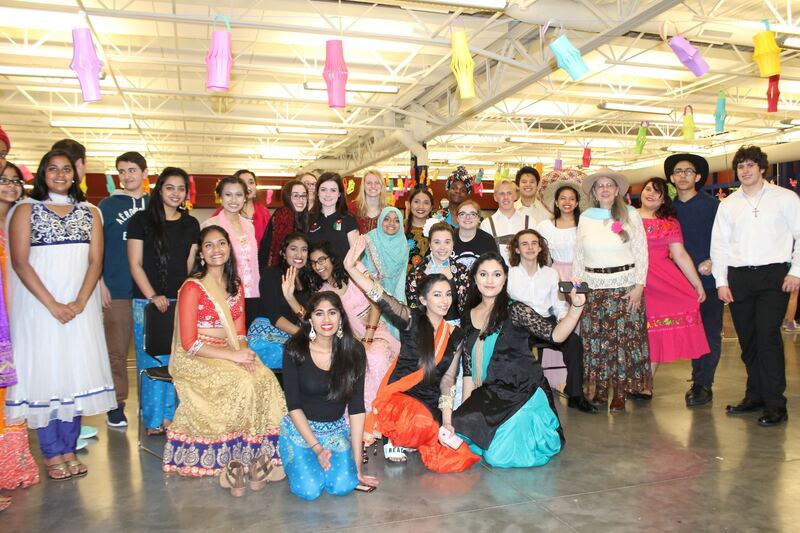 With much thanks to HSE’s Principal Mr. Matt Kegley for his support, each year, the World Connections Club presents an International Night. They feature a talent show from around the world where the students themselves are the talent and showcase their native costumes, song, dance and other unique forms of entertainment. Everything from dances of India and Ireland, to ballads from Mexico fill the stage. The entertainment is wonderful and is followed by a ballroom sized buffet of food from all around the world! Parents and students conclude the evening together as they socialize and feast on these cuisines. So do Michelle and I! It is such a treat! Hamilton Southeastern High School students serve food from around the world. 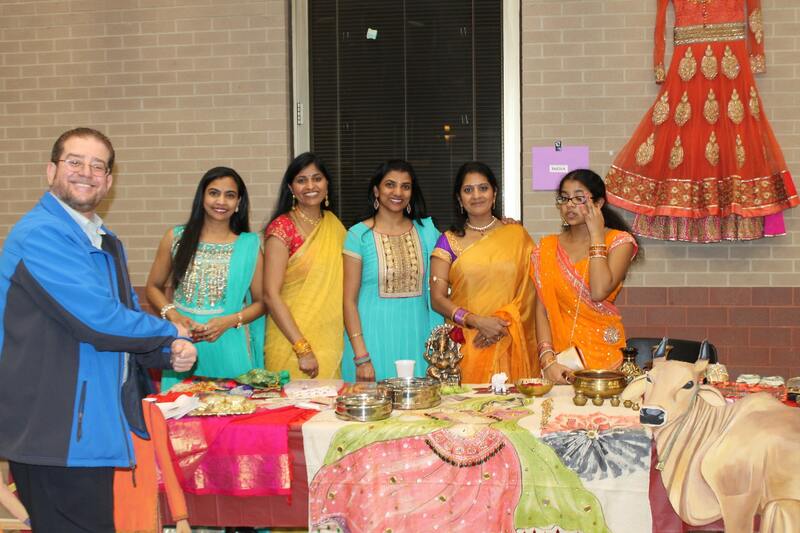 Over the past 5 years, proceeds from HSE”s International Night have been generously donated to Matanya’s Hope. In addition, students have organized annual drives to collect school supplies, shoes and backpacks for our kids in Kenya. These students demonstrate exceptional compassion for others at risk. I would love to see this program replicated in school environments nationwide. What a wonderful way to promote learning and service. This year HSE raised over $1300.00 to help our mission. It has been a blessing and an honor to meet with these students and witness the unfolding of their ideas and passions as they develop into life changing action. On behalf of each of our students in Kenya, Matanya’s Hope salutes you World Connections Club. 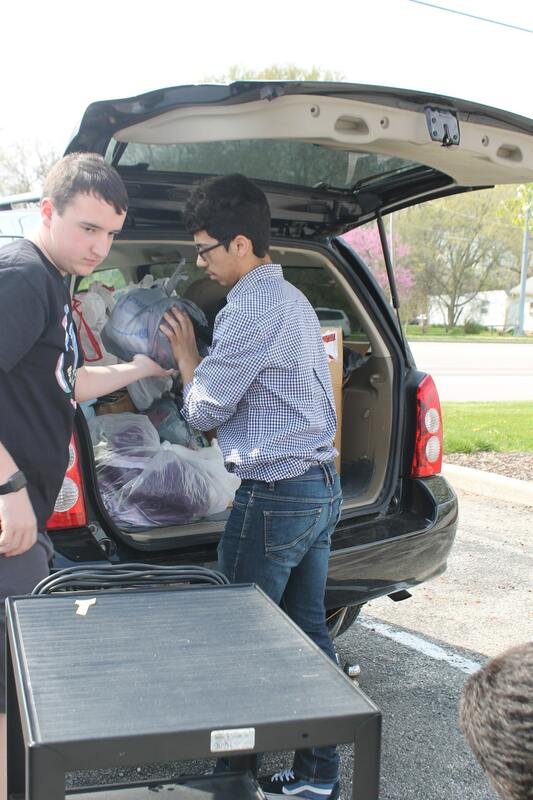 Hamilton Southeastern High School donations filled our vehicles! On behalf of every soul you touch through your generousity and love, we humbly say: thank you! This entry was posted in Uncategorized on April 19, 2017 by Michelle Stark.